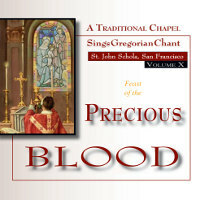 The St. John Schola of San Francisco, CA sings this series, A Traditional Chapel Sings Gregorian Chant. Dedication of the Basilica of Sts. 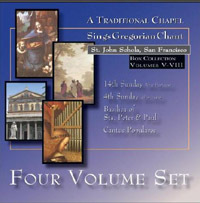 Peter and Paul (Vol. 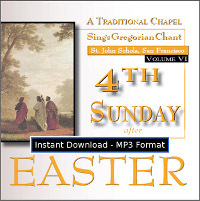 7): Includes Divine Office of Terce and a complete Sung Mass NEW! 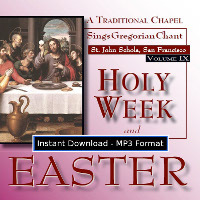 Holy Week and Easter (Volume 9): A lay choir sings part of the liturgy for Holy Week and Easter NEW!